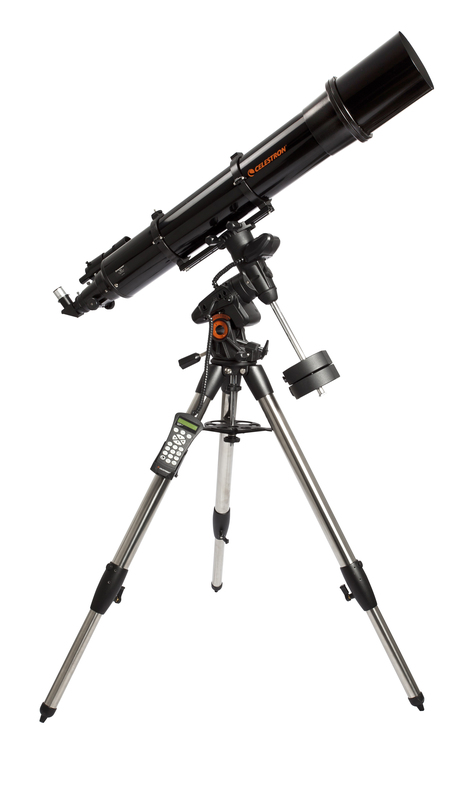 Celestron paired a GoTo mount with a large-aperture OTA to produce this Advanced VX 6" 150mm f/8 Go-To Refractor Telescope. 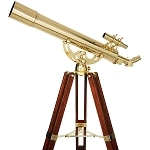 Pairing the fully motorized and computer-controlled mount with a refractor scope produces an observation platform optimized for astroimaging. 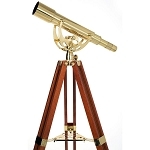 Its optical tube features a 6" (150mm) aperture to draw in copious amounts of light — even light from distant deep space objects like binary stars, galaxies, and nebulae. Its moderately fast f/8 focal ratio allows for shorter exposure times than slower scopes, which means more images can be captured for later stacking in post. A large-drawtube 2" focuser allows the use of larger wide-field eyepieces or large imaging sensor cameras to be used without vignetting, and an included reducer adapter lets users install smaller 1.25" accessories like the included eyepiece or diagonal. The OTA attaches to the motorized equatorial mount. Outfitted with dual-axis low-cog DC servo motors and digital encoders, the mount head moves and tracks objects with high-precision and almost no vibrations to ensure clear views. 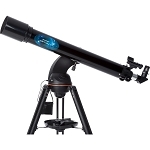 Its wide 7 - 77° latitude range and head design allows it to track low in the sky if it's set up on a hill or deck, and will clear the motors to avoid having to perform a meridian flip during long observation or imaging sessions. Guiding the mount is the NexStar+ computer hand controller. Packed with more than 40,000 objects, it has multiple alignment procedures to get users observing faster, with multiple automatic tracking rates to accurately follow fast-moving close objects like the Moon and planets and slower deep space celestial bodies. With features such as user-defined objects, customizable guided tours, and expanded info on over 500 objects in its database even novice users can quickly learn about the Universe.